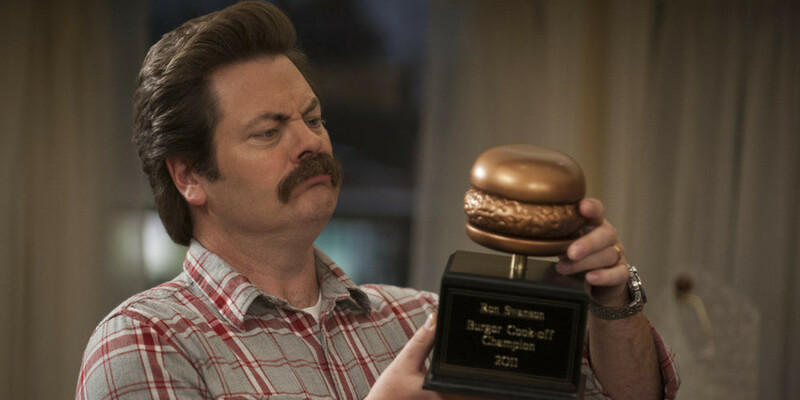 Ron Swanson is the lovable grump from Parks and Recreation. Due to his introverted, free-spirited nature, Ron would probably be an ISTP. While he hates his workplace, the government, Ron still would make a great workplace proximity associate... aka friend. Here are 8 reasons why, brought to you by Amanda and Sky. Need a chair? A canoe? A wooden pair of shoes? Ron Swanson's got you covered. You'll never have to buy anything again. How can you not appreciate a man like this? He has a framed picture of bacon and eggs on his wall. He enjoys breakfast buffets. If breakfast food were a sentient being, he'd probably marry it. Ron takes breakfast very seriously. 4. He's manly, but comfortable enough in his masculinity to do ridiculous things and make ridiculous faces. Honestly, I'm not sure much more explanation is needed. Ever since Ron started working at the age of 9 in a sheet metal factory, he has known the value of money and hard work. He was running the floor within a week. Ron now keeps a large amount of money in gold. It's unspecified how much, but it's implied to be so much that his children would never have to work. He also works hard at eating. 6. He owns up to his problems. It may take a while, but when Ron realizes he is wrong, he will own up to it. My favorite example of this is when he shows up to Diane's door trying to make amends. His method and means may not have been perfect, but his heart was in the right place. 7. He's a great role model. Ron has mentored everyone from April and Andy to Tom and he's taught them all some very valuable life lessons. They've all become better people through his guidance. While Ron might not always show it, he's dedicated to his friends workplace proximity associates. He'll be there for his friends, whether they need a hug or just a kick in the pants. He'll also show occasional moments of appreciation. This is very rare. Don't blink or you'll miss it. Whatever happens, Ron will always be there for you, in his own lovable and grumpy way. 9. We lied. There are 9 reasons. Why do you think Ron would make a great workplace proximity associate? 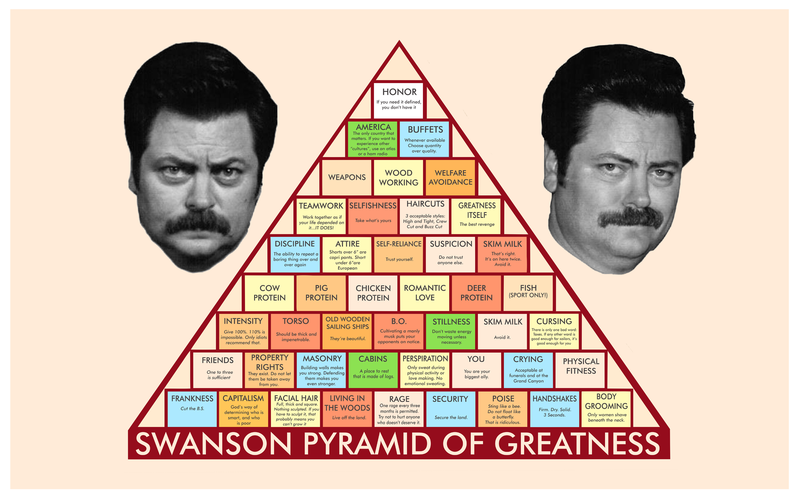 What's your favorite Ron Swanson moment? Reasons 1, 2, 3 and 8 were brought to you by Sky. Reasons 4, 5, 6, 7 and 9 were brought to you by Amanda.